Inimitable Parisian style is at the heart of the chic collections from dinh van. Founded in 1965 by Jean Dinh Van, who launched the company after designing at Cartier for 10 years, the sleek and modern designs revolutionized the traditional fine jewellery world in the 60s. Taking inspiration from everyday objects like locks and keys, Parisian architectural elements, and the newly emancipated women of France, Dinh Van's designs became iconic for turning convention on its head. 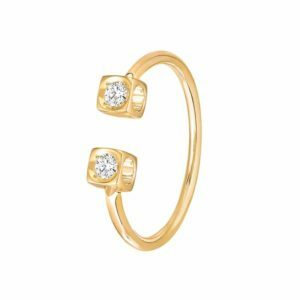 Making clasps the feature of the design instead of hiding them and setting diamonds into open cubes that allowed light to flow through are just some of the features that still delight collectors around the world. Knar Jewellery in Oakville is pleased to be the exclusive retailer of din vahn in Canada.